Vauxhall's newest generation of the Astra Sports Tourer has been awarded Best Estate Car at this years Telegraph Car Awards. 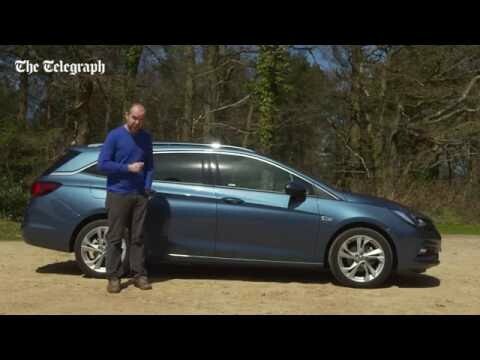 Earlier this year the Astra was named European Car Of The Year, so to hear its big brother the Sports Tourer is also claiming the plaudits reinforces what a great job Vauxhall are doing in the family car market. This award recognises the Sports Tourer being the best estate car driven by the Telegraph's expirenced road test team following extensive testing of all similar cars currently on the market. The newest-generation of Astra Sports Tourer is elegantly designed, with the athletic rear-wheel arch contours and sloping roofline giving an elongated and smooth appearance. It's performance is second to none with a range of engine options to suit your needs. The range includes the all-new 1.4litre ECOTEC Direct Injection Turbo, the 1.6 litre CDTi Whisper Diesel and the 1.6 litre ECOTEC petrol engine. This year continues to be a great year for the Astra model, it's only a matter of time before more awards come along for this much loved family car.